Newburgh Guest House! A great alternative to a hotel! Located in the heart of Historic Newburgh. 3 bedrooms, 2.5 baths, 2 car garage. Welcome to the Newburgh Guest House located in the heart of downtown Historic Newburgh, Indiana, a Main Street Community. Fully furnished, it is a great alternative to a hotel. All utilities, internet, and satellite TV provided. There are three bedrooms, 2 baths, Living room/dining room, eat-in kitchen, large laundry room with full size washer and dryer, and a 2 car garage. Relax on the front porch and enjoy the river traffic or sit out back and have lunch on the beautiful brick patio. Quoted prices are for up to SIX PEOPLE (extra $15.00 / person for all over 6 people up to 8 - no charge for infant under 2 years): rent is $200.00 - $230.00 / night for minimum of 4 nights; $1250.00 - $1460 for minimum 7 nights; $4150.00 / month for minimum 1 month ($3650.00 / month if you pay gas, electric, water and sewer). Damage deposit required. There are 2 king beds, 2 twin beds, a baby crib, and a queen sleeper sofa. Our kitchen is fully equipped with everything you need in a vacation home. All linens and towels are furnished. Baby crib and highchair available. There are Four TVs. The Rivertown Trail along the great Ohio River is just a few hundred feet from our front door! This is a no smoking, no pets facility. We look forward to having you as our Guest in beautiful downtown Newburgh! Close to Victoria National Golf Course, Deaconess Gateway Hospital and Clinics,, St Marys Hospital and Clinics, UE, USI, Evansville Riverfront, Tropicana Evansville Casino, Ford Center, Old National Centre, Alcoa, Bristol Meyers, Sabic, Atlas Van Lines, Redspot Paint. MUST BE AT LEAST 25 YEARS OF AGE TO RENT. George and Ruth grew up in Henderson, KY, just across the great Ohio River from downtown Newburgh. They moved to Newburgh in 1977 when George went to work for Alcoa Aluminum. Ruth began her Real Estate career in 1984 after Graduating from USI. Today, Ruth and George both continue to work in Real Estate. Our Guests have enjoyed this prime location in the heart of Downtown Historic Newburgh, IN. From the front porch, enjoy watching the many activities and river traffic. With approximately 2050 square feet all rooms are nice size. The extra large laundry room is especially nice compared to using a stack unit or taking laundry off site. With an attached garage coming and going is a breeze! Comfortable beds, 2 dining areas, and a kitchen island bar all make this home a 'home away from home'. The brick patio out back gives another option to dine outside. All one level. Attached garage. Several restaurants are just a few doors away with others less than 1 mile. The Rivertown trail (3 miles long), is down the street from the Guest House. The home is fully furnished with lawn maintenance and all utilities included for short term stays. Located in the heart of Downtown Historic Newburgh, IN (literally just out the front door) and about 15 minutes by car to the fabulous Evansville Downtown and Riverfront. Located near Victoria National Golf Course in Newburgh, IN. Newburgh Guest House is located a few hundred feet from the Ohio River. There are boat launching ramps along the Ohio River. One is just East of the Newburgh Guest House. Full size in large laundry room. Call for fireplace instructions and rug if interested in using fireplace. Kitchen table / 6 chairs; bar with 3 stools; Formal Dining table / 5 chairs. Beautiful brick patio in back. Also relax on the front porch and watch the river traffic along with the shoppers and walkers in downtown Historic Newburgh! Utilities provided for nightly or weekly rentals. One month or more the tenant shall pay for gas, electric, water, sewer, and trash pick-up. I am happy you got together again at the Newburgh Guest House. We love having nice groups that can take advantage of the great location and our big rooms for gatherings. As usual, I could barely tell you were there! We had a great stay at Ruth's guest house over Christmas while visiting family in the area. Ruth was wonderful to work with, she was very accommodating and responded quickly even over the holidays. The spacious living room was great for visiting with family. The location was very convenient for taking walks along the river in Newburgh. The only thing that would have made the stay better is a few more basic sundries already stocked in the house (we had to get salt & pepper, aluminum foil, cooking spray, shampoo, etc. ), but overall it was a great place to spend the week. We would happily stay again! This property was just what we needed. It was clean and stocked for our needs. The spacious living areas were perfect for out of town bride and her far flung bridesmaids to hand out and catch up, much cozier than in separate hotel rooms. The bedrooms and baths provided plenty of getting ready space. Our host was easy to work with and check in and out was a breeze. The location was very nice, in warmer weather would have definitely made our way down to walk by river. 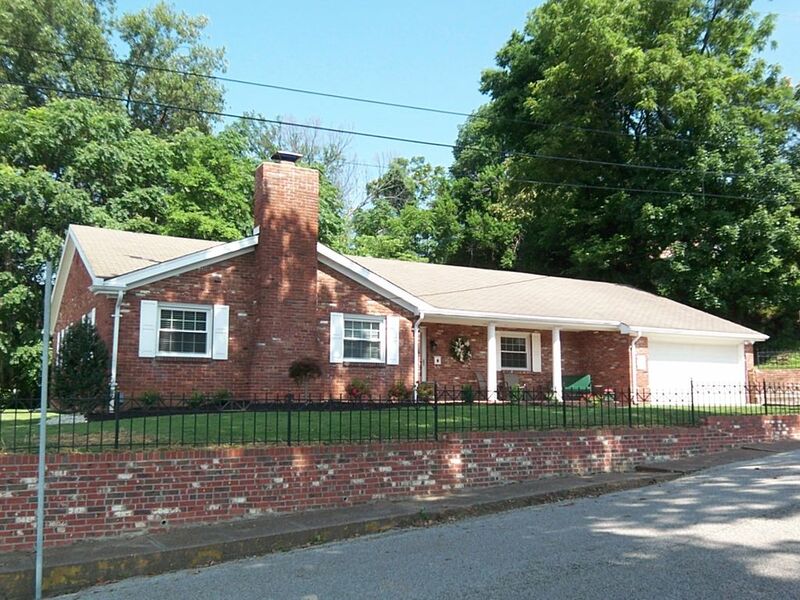 We highly recommend this property for a stay in the Newburgh area. A well maintained home with large comfy rooms. Everything we needed was there. Excellent view of river!! Clean and well kept, located right in the heart of old Newburgh. House was clean and well stocked. Owner was very helpful. Location good. Our Guest House is in the heart of Historic Newburgh, IN and is located near the Ohio River just East of Evansville, IN. Victoria National Golf Course is approximately 10 minutes by auto. Downtown Evansville, IN Ford Center and Old National Centre are minutes away. In addition, the Evansville Soccer Fields - Goebel Soccer Complex, Mesker Park Zoo, Wonder Ice Rink, Burdette Park, the Evansville Museum (STATE OF THE ARTS PLANETARIUM), The Koch Family Children's Museum are all just a short distance from downtown Newburgh. Paoli Peaks Ski Resort is about 90 minutes by auto. West Baden Resort and French Lick Hotel are approximately 90 minutes by auto. Holiday World (used to be Santa Claus Land) has been voted the cleanest theme park in America and is known for its Roller Coasters! Rates are subject to change without notice. Rates are for up to six persons (no charge for infants under 1 year). $15.00 / person for over 6 persons up to 8. MUST BE AT LEAST 25 YEARS OF AGE TO RENT.